When you and your spouse decide to divorce, you know you’re going to have to tackle tough issues. One of the toughest is sharing custody of your children. Having your children divide time between your homes becomes especially difficult during school holidays and vacations. With spring break approaching, you and your children’s other parent need to communicate and decide how to handle this week off. Quincy Public Schools, Boston Public Schools, and Needham Public Schools are off from April 15 through 19, 2019. If you approach spring break as a united front, you have the opportunity to provide your children with happy childhood memories. At Infinity Law Group, we understand deciding on a child custody arrangement with your soon-to-be-ex-spouse can be difficult. We are here to guide you through child custody mediation, and when necessary, fight for your right to custody before a judge. Is There a Child Custody Schedule in Place? If you and your spouse are in the midst of a divorce right now, you may or may not have a temporary custody schedule in place. If you have already agreed to a schedule, or the judge handed down a temporary child custody order, then you need to follow the pre-determined schedule. This also may be time for flexibility. If you are supposed to have your children that week, but their other parent can take time away from work and wants to take the kids on a vacation, you may want to consider swapping some of your time. Or, if the other parent is supposed to have the kids, but you can provide more consistent childcare during the week, this may be another reason to alter the arrangement. During a divorce, you may have to walk a fine line between being flexible and enforcing a consistent schedule for your children’s benefit. If you aren’t sure of how to handle spring break under your current custody schedule, talk with your divorce lawyer. If you’re set to have your children over the 2019 spring break, then you can make fun plans in town or nearby like Lego Land or Six Flags New England without the other parent’s permission. As for out-of-state plans, whether or not you need the other parent or court’s permission depends on the child custody order. Do not purchase expensive tickets and make reservations before confirming with your attorney that you can take your children on vacation. If you and your spouse do not have a formal custody agreement in place and are going with the flow, then communication regarding spring break is key. You want this to be a fun and relaxing time for your children. This requires you two to decide who can offer either the most consistent child care through the week or provide fun opportunities like going on vacation. When you are part of a contentious divorce, these conversations can be difficult. Do your best to look at what is best for your children. And keep in mind, spring break happens every year while your child is in school. You may miss out on a spring break vacation with your kids this year but have them with you next year. The first spring break during a divorce is hard. In years past, you may have gone on vacation as a family. Now, that may no longer be a healthy option for you and the children. Which parent has the children over spring break and during other vacations can be an extremely emotional decision for you, which is why we recommend you work with an experienced child custody lawyer when planning a child custody arrangement. Infinity Law Group is here to advise you on possible schedules and compromises. When it comes to vacations and holidays, we help our clients reach agreements that ensure they get to make lasting memories with their children. 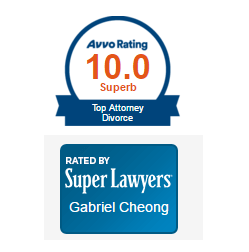 To talk with our family attorneys at Infinity Law Group, reach out through our online form or call (855) 941-0909.